Since the release of his last album “Big Fish Theory,” it’s been a quiet year and some changes for Vince Staples. But after keeping his voice scarce, and appearances few, the north Long Beach rapper announced via his Instagram on Oct. 29 that he would be releasing a new project. 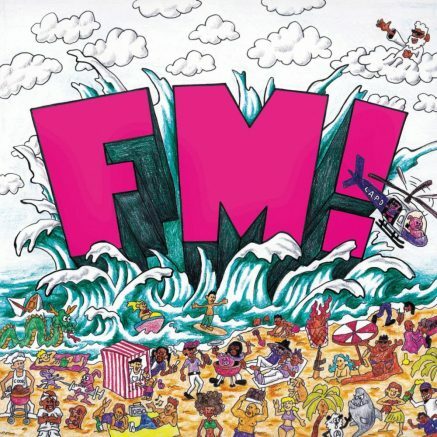 “FM!” has a brief run time of 22 minutes comprised of 11 tracks, including three skits. The album contains appearances from Jay Rock, Kamaiyah, Kehlani, Tyga, Earl Sweatshirt, and Bay Area rapper E-40. The album as a whole is sequenced and approached in a way that sounds like a live radio broadcast of “Big Boy’s Neighborhood.” Renowned radio host Big Boy appears throughout the mixtape as he runs a mock version of his radio show and narrates most of the segues into new songs. The project opens to the sound of sifting through different stations which eventually lands on “Big Boy’s Neighborhood,” and transitions into the song “Feels Like Summer,” where Staples can be heard rapping his introspective street talk with Ty Dolla Sign occupying the chorus. “Try finessin’ my way into Heaven, might hit that gate, might fall from grace, splat,” Staples raps. The strengths of this project come from a variety of directions. Staples reinvents himself by creating some of his catchiest and most fun songs to date, but all while maintaining his grim and realist view on the world as he sees it. “Outside!” serves as the first song after the intro and Staples’ distinct voice raps over a dark and bouncy instrumental supported by a heavy bass. Staples uses this two-minute track to puff out his chest and let people know he’s not the one to be tested. “Young and livin’ gorgeous, reinforce wish, prolly can’t afford this, we in orbit,” Staples raps. Another aspect that makes “FM!” a good body of work is the growth Staples displays in his vocal approach. During his past projects, Staples’ vocals come through cold and direct on darker sounding instrumentals. In this new mixtape he can be heard rapping with higher vocal inflections and letting his voice exhibit some variety. This approach comes off loose and effortless and keeps things interesting throughout the songs. A perfect example of this improved vocal performance is on the track “Relay.” In the track, Staples’ voice goes all over the place as he raps about avoiding getting caught up with the police. “Fed chirp on scanner, got blurped with the hammer, yeah, I ain’t playin’ with the DA, I’m finna hit the corner, do a relay,” Staples raps. Other standout songs include “Run The Bands,” and “FUN!” which features a minimal but well-placed appearance from Bay Area rapper E-40. “Fun!” is exactly what the title suggests and is comprised of a instrumental with a number of percussions that support the cadence and bounce of the song, and a melody that sounds like repeating drips. Staples flexes while expressing in the catchy hook that he and his people aren’t looking for any conflict or trouble; they’d rather just enjoy themselves. “We just wanna have fun, we don’t wanna f*ck up nothin’, we don’t wanna f*ck up nothin’, fun, we don’t wanna f*ck up nothin’, and we don’t give a f*ck ’bout nothin’,” Staples repeats on the hook. If there was anything from “FM!” that could’ve used some improvement, it would simply be the run time. The mixtape is basically eight songs, and most of the tracks barely make it over the two-minute mark. As a fan, a more fleshed out approach to the songs would’ve been appreciated. However, the no-clutter approach to the songs can be seen as refreshing and as an approach that doesn’t waste time. This album is probably Staples’ least content-driven album; it is a mixtape that boasts California in every way, and is full of songs to bounce to. The animated vocal approach the rapper takes on also keeps things interesting throughout, and the stripped-down and authentic lyricism over modern trendy beats is a fun direction to hear from Staples. According to an interview Staples did at the music convention Complexcon in early November, he said he has four albums ready for release in 2019. So be prepared for a year full of Long Beach repping and introspective lyrics that come from a unique perspective that only Staples can express. Be the first to comment on "Don’t change the station from Vince Staples’ “FM!”"